I’ve decided to take my ramblings about mind, body and spirit to blissmeonce.wordpress.com. I am a very private person, but pardon the virtual gush. Life has changed immensely since my last pandesal post. This is my way of sharing my joy. 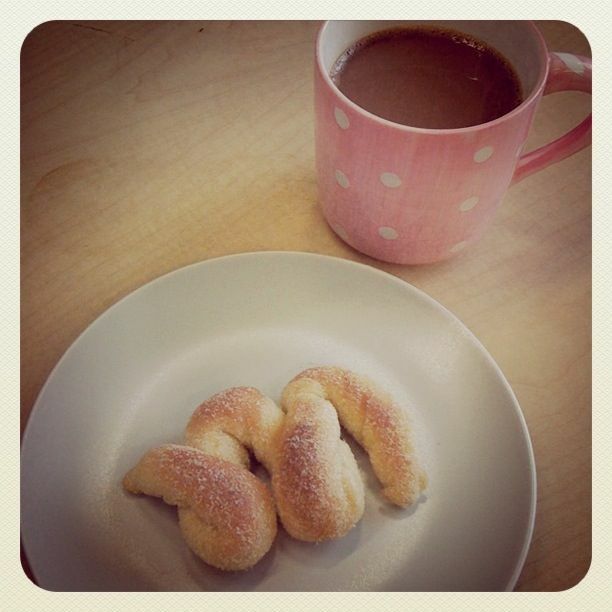 I had an M pandesal with my Kopi-C for breakfast! I’ve been a bad girl, skipping breakfast of late because I’ve been getting up later than usual. But thanks to Joanne, my friend’s girlfriend, I was motivated to eat this M-shaped pandesal. She baked it and shaped the dough into a letter M (for Maya, of course), then sprinkled it with bread crumbs before it was popped into the oven. Mmmm! It went well with my Kopi-C (ah, the alphabet of this morning’s breakfast!). • Upside down, it’s a W for Waya. My sister Pinky couldn’t say the M in my name. She was less than three years old, and each time I tried to get her to say Maya, she said Waya! • Turned on one side, it looks like the shape of lips puckered up for a kiss. • Turned on its other side, it looks like an E for “exciting”. It can also look like a cartoon drawing of a pig’s tail! I guess you could say, breakfast got my mind churning…and all because of the letter M.
At approximately 9.03pm tonight, in a cab, I knew I was ready to go home. My friend Maryline and I were sharing a cab; I was dropping her off at a jazz bar on Ann Siang Road called B28. “It’s beautiful with these leather seats and jazz music and these really good apple martinis.” I had never been to the place, but she got me at “jazz”. “Would you like to join us?” she asked. I said, “yes” even if I knew I was supposed to say “no thanks, it’s a school night.” But yes was the right answer because B28 turned out to be a wonderful discovery. Ella Fitzgerald sang from the video screens. There were big leather chairs that were comfortable but not too heavy to pull out by myself. Maryline introduced me to her friends, one of them a gregarious lady who vowed to surf and learn how to pole dance this year. 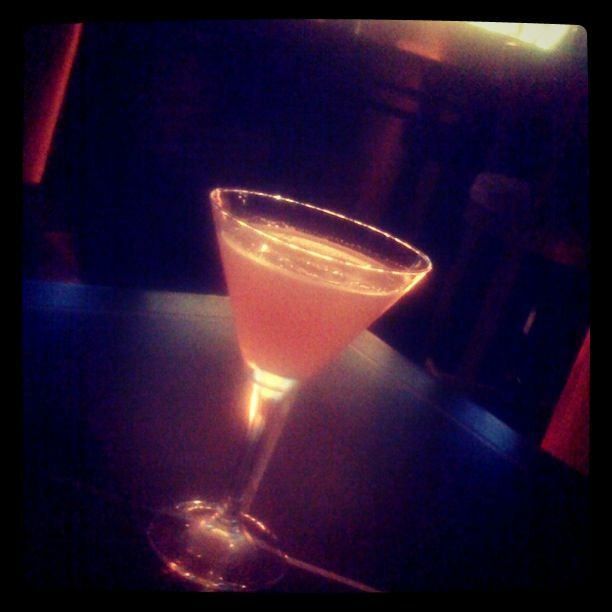 And then there was the apple martini — so rare that they only made 5 of them in one night. Maryline and I were lucky to have arrived early enough to order them. Apparently each one is made from smashing apples and, from what I witnessed, a vigorous, almost convulsion-like shaking of the concoction by two super-slight female bartenders/mixologists. The result: an utterly delicious martini that was just the right balance of tart and sweet. And fun conversation all around. All that from choosing to make a slight detour in my plans. Saying “yes” rocks. Day 30: Walastik! I did it! Thanks to Mariel’s annual blog-a-thon, I’ve rejuvenated WalastikHolistic (next stop: mayacalica.com). 1) When I commit to something, I always find a way to do it. And I find the time — even when I’m away on a business trip. 2) Whereas before, there seemed to be not much to blog about unless I was on holiday, my commitment to the task opened my eyes to fresh nuggets of insight, to photographs of things, people and corners of my life that I wanted to share. Nothing was too small or too trivial or unworthy of sharing. 3) The best entries were borne from a spirit of fun, and of feeling so much joy. 4) That line, “a picture paints a thousand words”, is so true. Sometimes, the photo comes first — then the words follow. 5) A challenge such as this is infectious…in a good way. 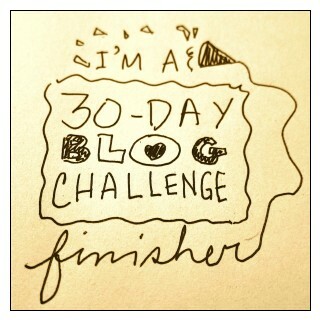 I’ve had friends tell me the 30-day blog challenge sparked their minds to either blog also or start a creative venture. I love it! 6) Being able to complete a task such as this has shown me that goals are accomplished a day at a time, and that the journey towards the finish line can be very enjoyable. 7) I am very thankful that I am able to communicate my thoughts the way I do, and that people are touched by the humor and inspiration in this blog. Windows of my world (left to right): Shutters in Chinatown, Singapore; a building in Nice, France; a museum and shophouse in Melaka, Malaysia. I love windows. They’re one of the things I love to photograph when I visit a new city. It’s more than just the architectural style that grabs me — it’s the story behind the shutters that intrigue me. Who’s going to peep out? What are they having for dinner? What are they talking about? How different are their lives from mine? Blame it on my journalistic curiosity. I am reminded of the Hitchcock movie Rear Window, circa 1954, which I saw many, many years ago. A professional photographer (James Stewart) is confined to his Greenwich Village apartment while recuperating from a broken leg. Since his flat affords him a view of his neighbors’ windows (which are left open) and a courtyard, he watches the lives of these people unfold before him. In the course of his observations, he suspects a murder has taken place. 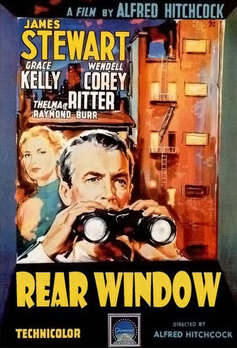 He enlists the help of his beautiful socialite girlfriend (Grace Kelly) to solve the case. While I’ve never gone as far as imagining a murder taking place behind closed windows, I must admit that the wondering about what’s going on there creates fodder for new fiction. I’ve always believed in the power of imagination and visualizing your dreams to reality. My dad was one of my first teachers of this universal law, influencing my sisters and I with books by Og Mandino and Norman Vincent Peale. 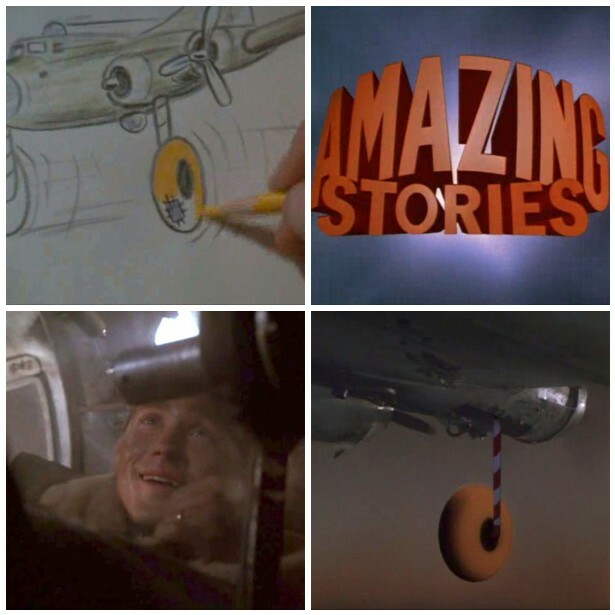 But perhaps one of best representations of the power of drawing your reality to oneself was depicted in the 1985 Steven Spielberg-directed anthology, Amazing Stories. “The Mission” was about a group of young WWII soldiers going on their 24th tour of duty (helmed by the captain played by Kevin Costner). The group’s lucky charm is belly gunner Jonathan (played by Casey Siemaszko), a talented cartoonist who aspires to work for Walt Disney one day. When a German plane shoots at them, the planes landing gear is destroyed and Jonathan is trapped in the belly of the plane. With no choice but to land the plane without wheels, this lucky charm seems destined to die. But in the last few minutes before the fatal landing, Jonathan picks up pen and paper, and sketches a solution in the form of yellow landing wheels. He is intensely focused in his efforts, as he “visualizes” on paper and colors in the lines, believing in every stroke and swirl of his pencil, while praying. What happens next showed me at a young age that our imagination has the power to make miracles happen…and may even save the day. If you haven’t seen the series, I highly recommend buying it on Amazon.com! P.S. Drawing has been a ritual for me for many years now, which I’ve shared with friends. Here’s a longer piece I wrote on, called Draw your Dreams to Reality, in Suite 101. Top row, left to right: A fedora from Melaka market; a red cloche from The Gap in Tokyo; and Adidas All-Blacks cap from Auckland. Bottom row, left to right: Pinky gave me this fedora from Greenhills Shoppesville; wide-brimmed woven hat from Baler, Aurora Province; and a bsaket-weave designer "cap" from France (a gift from my friend, Maryline). I’ve loved hats for a long time. I remember buying a creme-colored newsboy cap in Tokyo when I was 13. A few years ago, I reignited my thing for them, shopping for newsboy caps and fedoras wherever my travels took me. 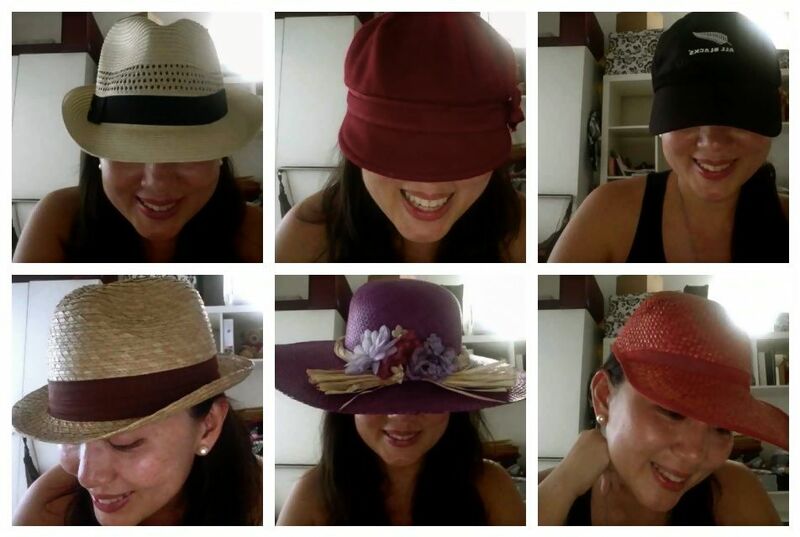 But since it’s amazingly hot in Singapore, I decided to give them away to my nephews (the hats were mostly men’s hats anyway) about two years ago. Recently, hats have started to figure in my life again, as I’ve slowly rebuilt my collection. I like how a wide-brimmed hat provides another layer of sun protection (over sunblock, which my sister Marie vehemently reminds me to apply daily). The straw fedora (top row, leftmost) recently spared me from heatstroke during the shoot in Melaka in Malaysia over the weekend. For just 10 Malaysian Ringgit (PHP150), I kept my cool (well, cool-ish) with the hat on. It’s a small investment that paid off big time. Do you like hats? Tell me what your favorite one is. I’m thrilled about how artistic all my nieces are. Iana, 9, is a very talented illustrator (it’s one of her many talents). Ada, 3, has the makings of an actress (and model) with her emotive ways. For this blog entry, I’d like to share how the project of my niece Erin moved her cousin Faith to create her own. Erin, 10, loves her Sylvanian Family characters and has used them to make animated movies. About two weeks ago, she asked my sister Pinky, a filmmaker, for tips on how to improve her self-learned craft. While the rest of us got an early start on dinner, she and her tita Pinky worked on a script. Here’s The Play Date, the result of that creative collaboration (Erin selected the musical score, wrote and directed it while Pinky pieced the film together using iMovie). When Erin’s cousin, Faith, 8, watched The Play Date on the family computer in Auckland, she was inspired to make a film of her own. Here’s Faith’s Moshi monsters movie — notice how each movie is flavored with a different treatment and personality! That’s what I love about the fruits of creativity — it can move others to tap into their own gifts to produce what only they can give to the world. Let there be art! Bow posing around the world is fun! During my most recent shoot in Melaka, Malaysia, one of the crew asked me why I did what I did, namely the Standing Bow Pose, on the pink steps of the museum next to Christ Church. “You have to do it?” she asked with a puzzled smile. I just nodded as I rushed to take my place and get into the asana before the crowds got into the photo. Later on, she willingly snapped my bow pose after we hiked to the top of Bukit St. Paul — no questions asked. I got to thinking about her question: Why do I do it? I don’t know exactly why — perhaps maybe because it’s fun. I love the pose; it’s my favorite one from the Bikram Yoga hot sequence. It challenges me, and instills in me the courage to push to my edge little by little. It teaches me to lead with my heart. Many times, my boyfriend has been my official bow pose (or should I say ‘beau pose’) photographer during our travels. “You should make it into an album,” he said (hence the Facebook album). And then my good friend Lille went on to suggest that I make it into a book. Who knows? The first time I assumed the pose for the camera was when a group of journalists and I made it to to the top of Mount Maunganui, Tauranga on the North Island of New Zealand. We were up there to catch the sunrise. But alas, the sun stayed behind the clouds as soon as we had made it to the summit. Perhaps this was my way of making up for the disappointment — I mean, we had to be there for something that mattered, right? So I did it, with a view of the city behind me. (Unfortunately I can’t find the photo…but I will!). This was in May 2007, I believe. The gentleman reporter from Malaysia called it “the mermaid pose”. 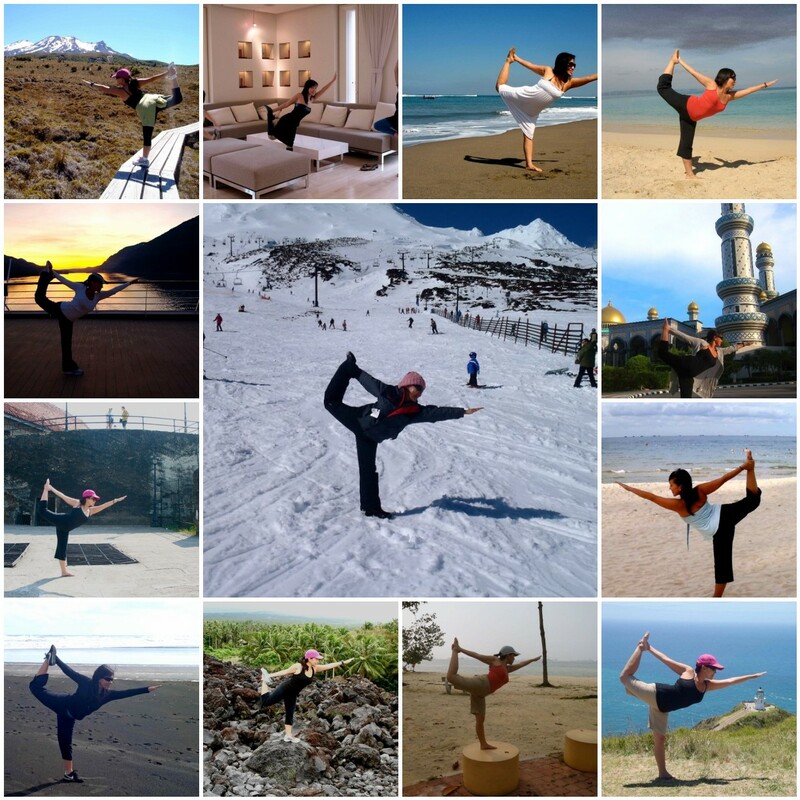 Since then, I’ve made it a point to strike the bow pose wherever my travels take me. It’s my version of making my mark on new territory, much like planting a flag or a tree. Just think of the traveling gnome in Amelie, or the cardboard couple that George Clooney’s character is forced to shoot in front of famous city landmarks in Up in the Air. It’s the ultimate souvenir that says “I’ve been here”. My friends Noelle and Celine also do their yoga poses for the camera. What do you do?